Smart Laser Probe (SLPr) is a non-contact weld seam tracking system for welding machine applications. By mounting the Smart Laser Sensor (SLS) to look ahead of the welding torch, the SLPr controls the position of the welding head to keep the welding wire positioned correctly in the joint. Smart Laser Probe provides major benefits in quality and productivity. 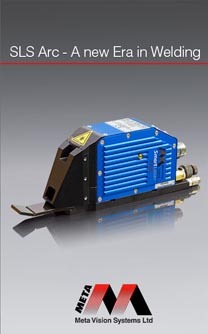 Smart Laser Probe is a completely new approach to laser seam tracking. By exploiting the latest advances in electronics and computing, SLPr takes seam tracking to a new level of performance for a standard system.